A stunning Anglo Indian, carved wood, desk. Beautifully detailed. 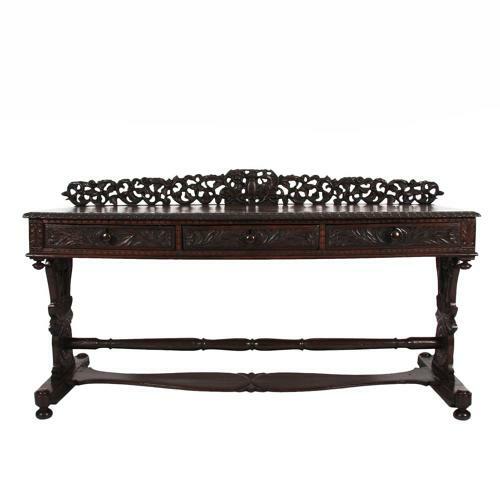 This unique table can be used as a desk, console table or serving table.